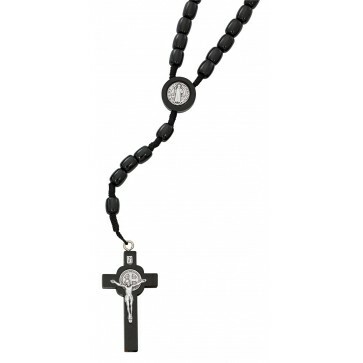 For a warm and natural look, choose the unique black wood corded St. Benedict Rosary. 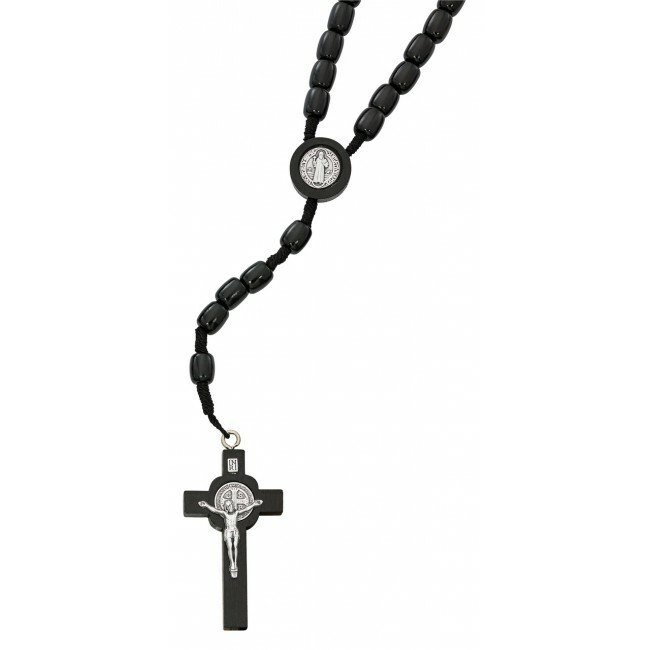 The rosary features the image of St. Benedict embedded in wood as the center piece of the design. The medal is a prayer of exorcism against Satan and is considered a powerful symbol in Christianity. A wood and metal crucifix continues the natural feel of the piece. Black wood beads are threaded onto heavy cording for long lasting durability and unbeatable comfort. Extra detail is given between each decade in the form of lighter and smaller beads.